to kind to me and mine just lately needless to say no crafting mojo! 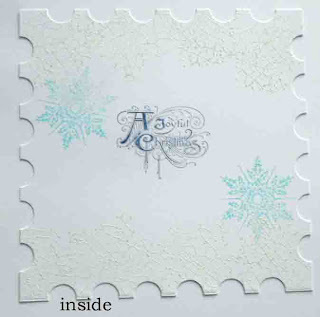 I have however managed to make a few Christmas cards for my nearest and dearest and would like to share some of them here and also join a challenge or two as I have missed playing along. 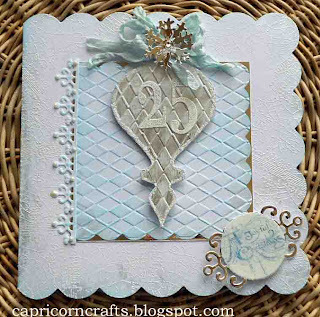 Card blank was stamped around the edges with the crackle stamp from TH Mini Holidays 4 plate and Embossed using white embossing powder, then edges were inked with faded jeans DI and also a little pearl paint from Adirondack Acrylic Paint dabber was added around the very edge of the card. 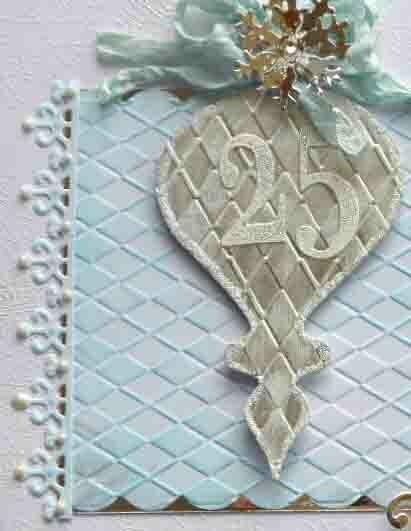 Main Ornament was cut from silver mirri board and run through an embossing folder, this was a bit bright for me so I sanded it and then rubbed some of the pearl paint over and wiped off again when nearly dry, the 25 was embossed with another white and silver combo powder, the main panel was embossed with the same harlequin embossing folder and faded jeans DI applied to the raised areas. 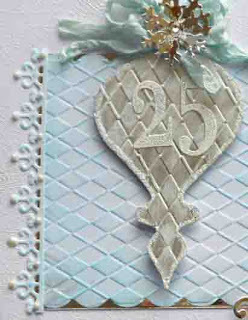 Spellbinders dies were used on the side border and the mirri board behind the sentiment which was from the same TH set as before, I then covered this with Creative Expressions micro beads.......which give a frosty look , ribbon was dyed with faded jeans DI and crumpled, and snow flakes added, lastly I added a few faux pearls with pva pearl and distress stickles to the edge of the main ornament. 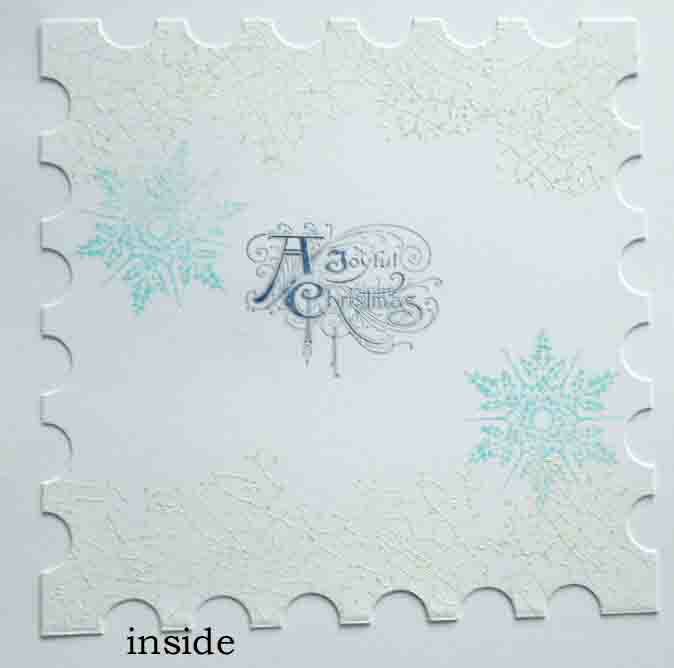 Inside of the card was stamped with crackle stamp and embossed in white, greeting in Chipped Saphire DI. snowflake stamp faded jeans. 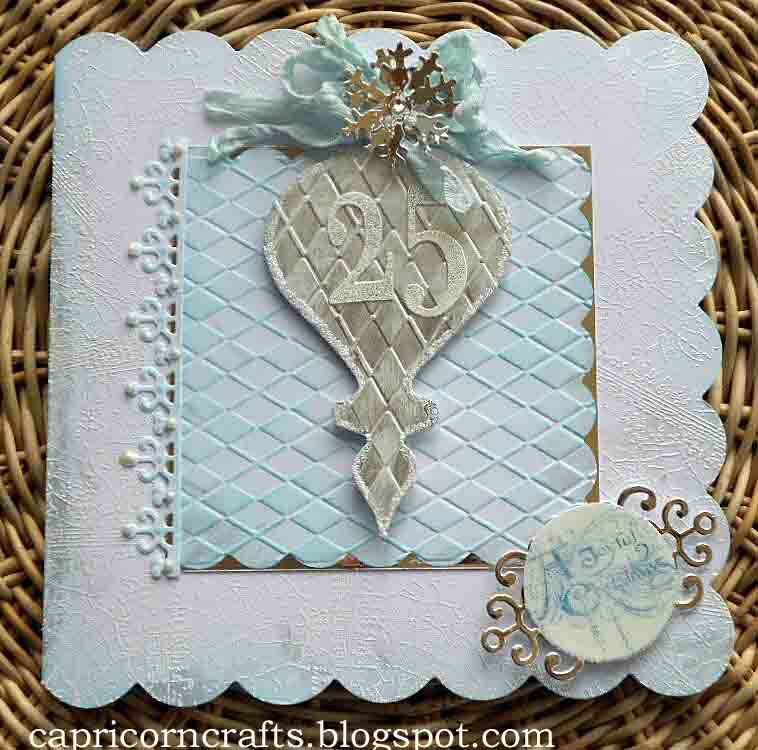 Wonderful work - thanks for joining the Joanna Sheen Challenge.